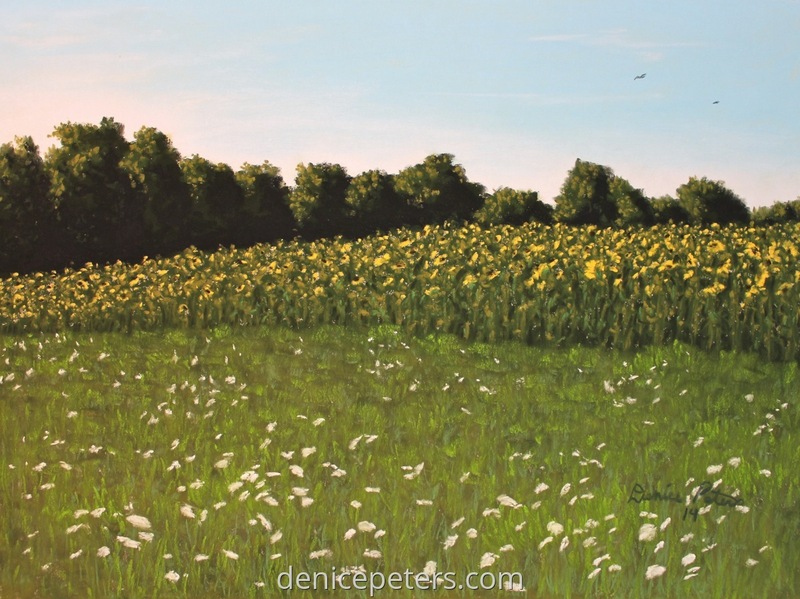 A field of sunflowers with queen Anne's lace flowers in the grass. This was in SW Iowa. A daily painting.